It's a Brazillian Car called Kombi Standard 2004 from Volkswagen, with 1600cc air cooled engine converted to Rfactor, with all the physics, cameras and sounds fully edited by me. To follow this project and other conversions, be welcome to visit my blog: www.autosimracing.blogspot.com.br (Make sure to visit our google ads, this way you help us to keep our website alive. Kombi Standard 2004 convertido para o Rfactor, com físicas, câmeras e sons devidamente editadas, motor 1600 refrigerado a ar como o real. There are currently no setups for Vw Kombi Standard 2004. Add a Setup. 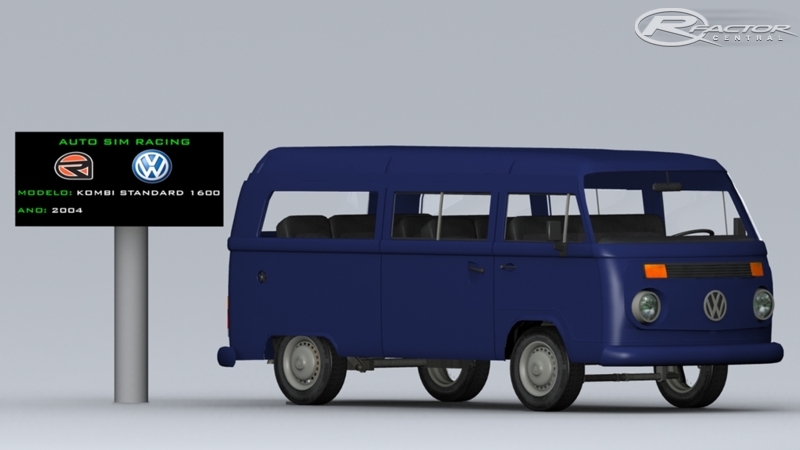 There are currently no car skins available for Vw Kombi Standard 2004. If you are a painter you can share skins for this mod via the Car Skins area. Visit the Spray Booth for painting tips & tricks.